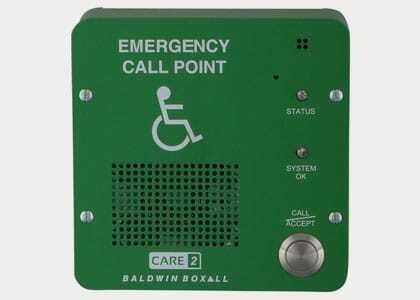 The Care2 EVC system features disabled refuge, fire telephone, steward telephone, roaming telephone and disabled toilet alarm facilities. 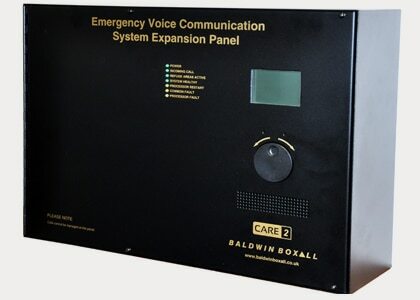 Expandable 4-way control console in either black or stainless steel. 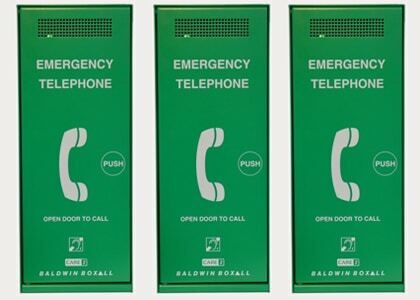 Add one or more of these panels for larger networked systems. 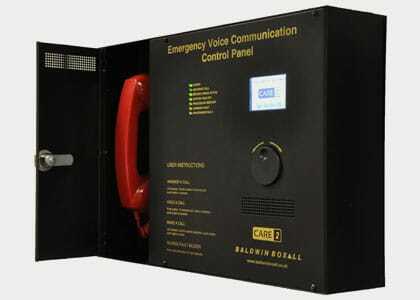 Hands-free communication unit for disabled refuge areas. 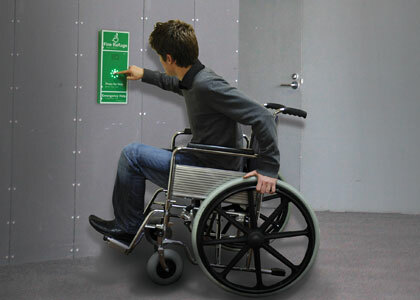 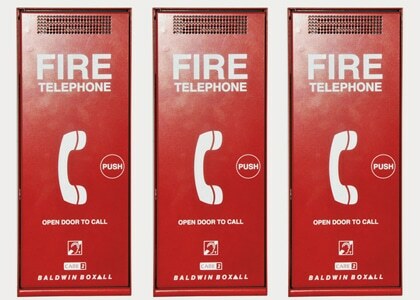 Available with push or slot-lockable door, in red or stainless steel. 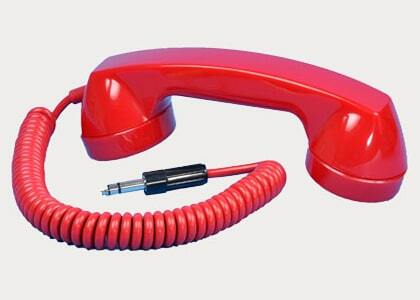 Portable telephone handset, jack sockets & monitored enclosure. 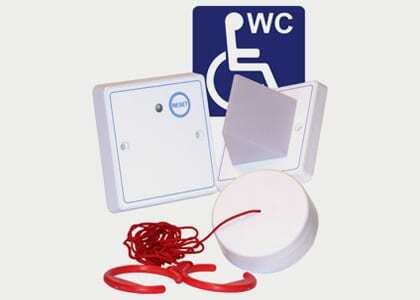 Toilet alarm solution for the Care2 system.